Vladimir Putin will lead Russia for another six years, after securing an expected victory in the presidential election. With most of the ballots counted, he had received 76% of the vote, the central election commission said. 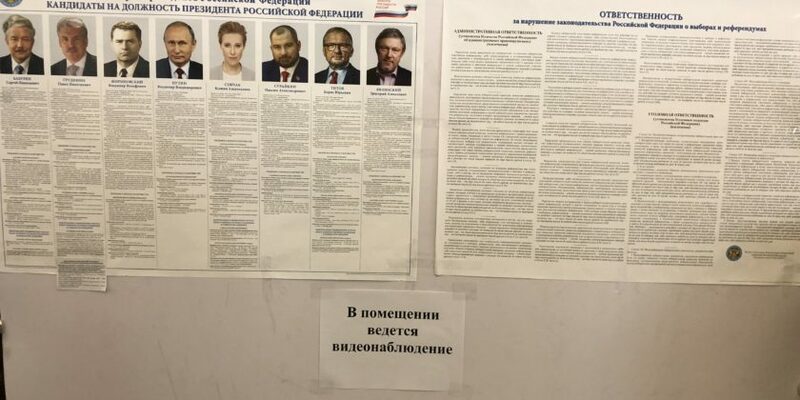 Ella Pamfilova, head of the Russian Central Election Commission, has said that there were no major violations during the vote, and that only “minor and local complaints” were received. Kiev refused to allow Russians in the country to vote at consulates, according to a statement from the government information agency Ukrinform. Only Russian diplomats were allowed to access official Russian premises. Putin’s campaign chairman declared turnout to be high and needled London by suggesting that may be a rally-round-the-flag response by voters to the accusations over the Salisbury attack.